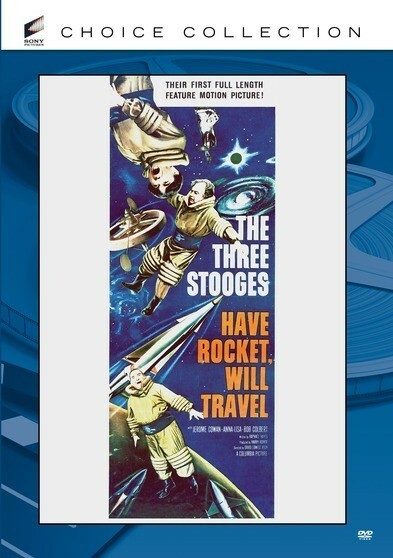 The Three Stooges are back in this space-age comedy! Three janitors (Moe Howard, Larry Fine and Curly Joe DeRita) are put in charge of guarding a fallen rocket and suddenly find themselves blasting off into space. Reaching Venus, the three amateur astronauts meet a talking unicorn, a fire-breathing tarantula and a robot that creates evil duplicates of the Stooges themselves. Newly remastered. Bob Colbert; Anna-Lisa; Jerome Cowan; Moe Howard; Larry Fine; Joe De Rita – 1959 – BW – 76 Minutes.